SHOW A HEART (AUS) (Chestnut 1997-Stud 2002). 6 wins-3 at 2, VATC Caulfield Guineas, Gr.1. Leading NZ Sire of 2YOs 2006-07. Sire of 832 rnrs, 543 wnrs, 25 SW, inc. Heart of Dreams (VRC Australian Guineas, Gr.1), Toorak Toff, Woorim, Mimi Lebrock, Luke's Luck, Vo Heart, Rightfully Yours, Gotta Have Heart, Royal Tithe, I'm Your Venus, Super Ninetyseven, Crossyourheart, Heart Ofthe Desert - Hostwin Donatello (Mac. ), Dual Chamber, Fifteen Carat, etc. Piacenza (f by Denman) Placed, 2d SAJC Meetings & Events Australia 2YO P., Adelaide Galvanising P., 3d MRC Debutant S., L.
Takarakka (g by Show a Heart) 3 wins. See below. Black Champagne (f by Denman) Winner at 2 in 2017-18, 3d SAJC AAMI H., 4th SAJC Cinderella S., L.
Pasaga (g by Real Saga) Placed at 2 in Aust. Pachanga (f Redoute's Choice) Winner. See above. 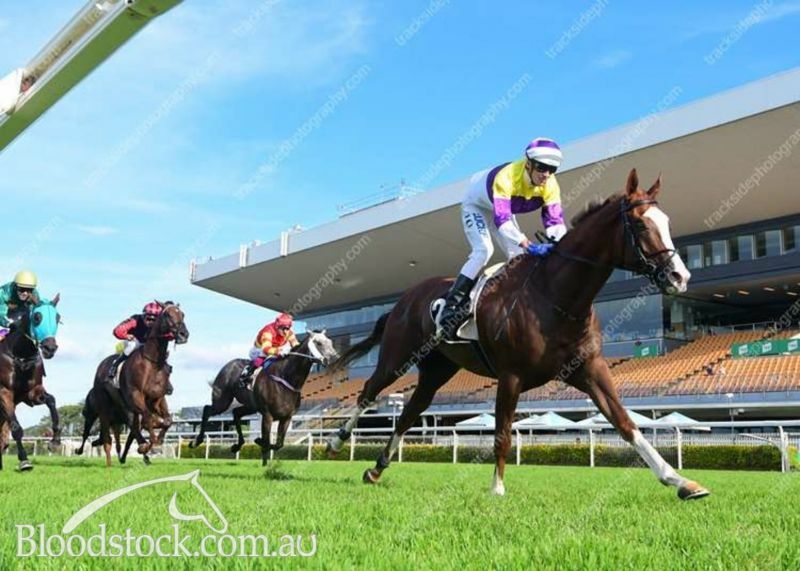 ANY RHYTHM (g Western Symphony) 6 wins to 1400m, A$226,900, VATC Sandown S., Gr.3, VRC Maggi Coles H., VATC Beau Gem H., 2d SAJC Goodwood H., Gr.1, VATC Japan Racing Association S., L, Bounding Away H., L, Red Terror H., 3d VATC Kenvain H., 4th VATC Blue Diamond Preview, Gr.3. Foxtrot (f Rory's Jester) 2 wins. See above. UPBEAT (g Strategic) 6 wins-1 at 2-from 1250m to 1850m, A$345,500, MRC Autumn Classic, Gr.2, ATC Ranvet H., 2d MVRC Echuca Workers & Services Club 2YO H., 3d MVRC Styleread.com.au Inglis Bonus 3YO H., Dominant H.
BELLA MARTINI (f Stratum) 5 wins-1 at 2-at 1200m, 1400m, A$443,300, to 2017-18, VRC AV Kewney S., Gr.2, Gosford Guineas, L, MRC Ken Sturt H., MVRC Follow TheValley H., 2d VRC Let's Elope S., Gr.2, MRC Chandler Macleod 2YO P., 3d MRC Le Pine H., 4th VRC Empire Rose S., Gr.1, ATC Triscay S., Gr.3, MRC Regal Roller S., L.
VOLCANIC ASH - VOLCANIC GENERAL (Mal.) 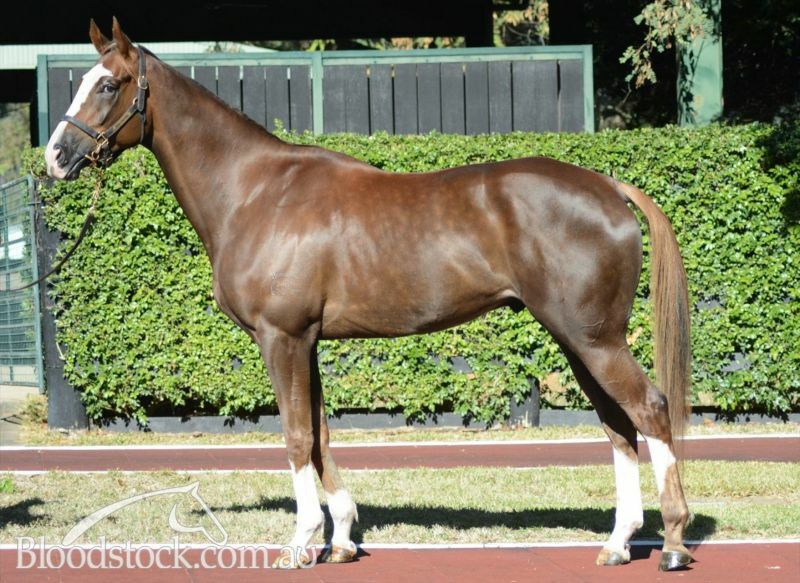 (g Magnus) 10 wins to 1400m, A$273,150, 745,837Rgt., to 2019 in Aust. and Malaysia, Selangor TC Tunku Gold Cup, L-3 times, Penang Sprint Trophy, L, Perak Gold Vase, L, 2d Perak TC Coronation Cup, L, Selangor Gold Cup, L.
ALPHA BEAT (g Magnus) 4 wins at 1200m, 1600m, A$206,400, SAJC Adelaide Guineas, L, ATC Cellarbrations H., MRC Glam Beauty South Yarra P., 3d MRC Autumn Classic, Gr.2, BRC Jockey Celebration Day H.
SINGAPORE SLING (f Starcraft) 5 wins-1 at 2-from 1200m to 1600m, NZ$76,025, ARC Soliloquy S., L, BOP RC Wilson Plumbing, Heating & Gas H., ARC Swiss Deli H., Waikato RC Technical Welding Services H. Producer. Bombay Sling (g Danzero) 4 wins-1 at 2-at 1200m, 1600m, A$212,675, S$111,204 in Aust. and Singapore, TTC Shaw Magic Millions 2YO Classic, 2d VRC Sires' Produce S., Gr.2, TTC Gold Sovereign S., L, 3d STC Run to the Rose H., Gr.3. SACRED RHYTHM (f Pentire) 5 wins from 1200m to 1800m, NZ$94,125, to 2017-18, Taranaki RC Oaks Prelude, L, Manawatu RC Landmark Homes H., BOP RC Charlotte and Dirk, Eves Mount Maunganui H., Taranaki RC Coca Cola H.
HUMMA (g Iglesia) 10 wins from 1400m to 2200m, A$514,730, BRC Chairman's H., Gr.3, Toowoomba Cup, L, BRC TIS H., Andonov Design H., 2d BRC Brisbane H., L, Qld Tatt's RC Recognition S., L, 3d QTC Members' H., L.
Race Record: 27 Starts 3-6-4 A$78,625. 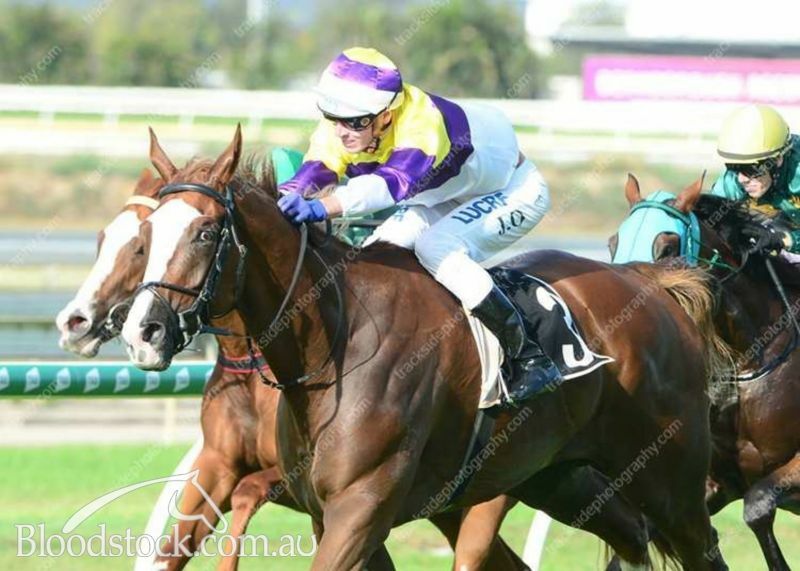 Won BRC Paddyfest 2019 H. (2040m), SCTC Yalumba H. (1600m), Pacific Motor Group Maiden H. (1400m), 2nd GCTC $500k 2YO Jewel 16/3 H., Don Alroe & Sons H., Krambach Hydra Hose H., Big 4 Colonial Holiday Park H., SCTC Farewell Mick H., Grambower Concrete Pumping H., 3rd BRC Millkraft Boat Yard P., Grafton Exclusive Trophies H., Krambach Hannam Vale Cup H., GCTC Coffee Bug Maiden H.
29/Nov/2016 3rd of 7 --trial--BRC Barrier Trial, 1050m. No More Heights was 1st and Sip Sip Sip 2nd. (1.1) Ipswich TC Steve Parcell Building Services Maiden H., A$14,000, 1200m, time 1:11.15. Track soft(5). Carried 58.50kg. Chic Sale was 1st and Crackacharge 2nd and Captain Treasure 3rd. Trainer: R L Heathcote. Owner: Glenlogan Park (Mgr: J M Haseler. Jockey: L V Cassidy. (3.6) GCTC Winners Circle Maiden H., A$26,600, 1400m, time 1:25.45. Track heavy(8). Carried 58.00kg. Son of Justice was 1st and Our Red Jet 2nd and Love Battles 3rd. Trainer: R L Heathcote. 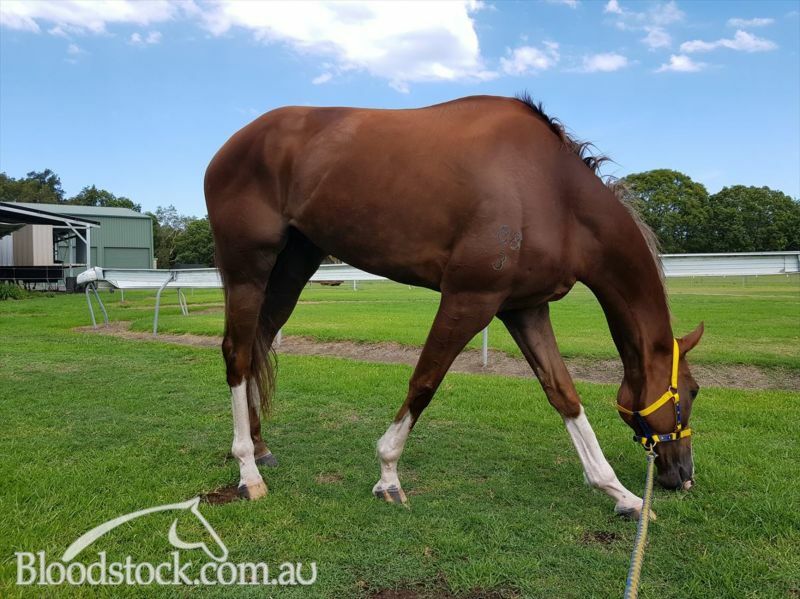 Owner: Glenlogan Park (Mgr: J M Haseler. Jockey: Daniel Griffin. 27/Jun/2017 3rd of 7 --trial--BRC Barrier Trial, 1000m. Dream Master was 1st and Mr Dumont 2nd. 06/Apr/2018 3rd of 6 --trial--BRC Barrier Trial, 1000m. The Tinman was 1st and O'Reilly Cyrus 2nd. 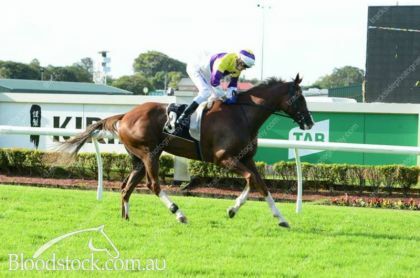 (6.3) SCTC IGA Sunshine Coast H., A$16,000, 1200m, time 1:12.96. Track good(4). Carried 56.00kg. Secret Mo was 1st and Let's Party Marty 2nd and King Ragnar 3rd. Trainer: R L Heathcote. Owner: Glenlogan Park (Mgr: J M Haseler) & Ms T Routledge. Jockey: J Byrne. (4.3) GCTC AWS Window Systems H., A$16,000, 1400m, time 1:24.33. Track good(4). Carried 58.00kg. Only Choice was 1st and Roses of Joy 2nd and Vivid Pink 3rd. Trainer: R L Heathcote. Owner: Glenlogan Park (Mgr: J M Haseler) & Ms T Routledge. Jockey: M Mc Guren. 01/Feb/2019 5th of 9 --trial--Port Macquarie RC Barrier Trial, 1006m. Shelley Beach Road was 1st and Prince Mayted 2nd and Alot Like Home 3rd. 22/Mar/2019 4th of 8 --trial--Port Macquarie RC Barrier Trial, 1000m. Three Sheets was 1st and Shelley Beach Road 2nd and Ikaba 3rd.